Racer X Films: Millville Press Day July 20, 2018 Raw clips from Millville. Privateer Profile: Henry Miller June 28, 2018 We chat with Miller about making the top 15 at Muddy Creek, issues with his bike on press day, and more. Racer X Films: Glendale Supercross Press Day January 27, 2018 Talking with Christian Craig, Chase Sexton, Henry Miller, Ken Roczen, and Jason Anderson. Plus, raw riding clips from press day at round four of Monster Energy Supercross. 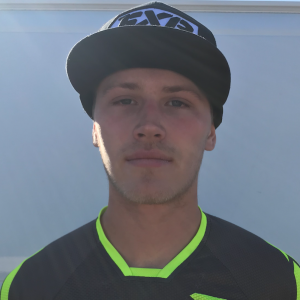 Privateer Profile: Dustin Pipes December 8, 2017 We talk with the co-owner of a new team in the pits. New Four-Man H.E.P. Racing Suzuki Squad for 2018 December 6, 2017 Cunningham, Pipes, Miller and Lafountaine on board. Henry Miller Injured in Testing Crash November 16, 2017 Privateer Henry Miller was injured in a testing crash yesterday, according to a post on his Instagram. 10 Things to Watch: Unadilla August 11, 2017 Several riders return to racing, three rookies set to make their debut, and Husqvarna's podium streak. Racer X Films: 2018 Suzuki RM-Z450 Intro August 4, 2017 Privateer Henry Miller give us his thoughts on the all-new model from Suzuki. Racer X Films: Henry Miller July 26, 2017 Jimmy Albertson catches up with Henry Miller to talk about his breakout rides, why he chose the 450 Class, and what his plans are for supercross. Observations: Millville July 26, 2017 Matthes on what he liked and disliked this past weekend. Privateer Profile: Henry Miller June 30, 2017 "I knew the team owner had a 450 and I just threw it out there and said I wanted to race it. So he got me the 450, I rode it for an hour, and then lined up at Muddy Creek." The List: Feeling Minnesota July 14, 2016 We don’t know what’s going on, but there are a ton of fast guys from the land of 10,000 lakes. Privateer Profile: Henry Miller April 28, 2016 Yet another fast kid from Minnesota. This one drives to the races all by himself!